Craft House Salon— Is Salon Shampoo & Conditioner REALLY a big deal? Is Salon Shampoo & Conditioner REALLY a big deal? So, you have just gotten your hair done and you are obsessed, selfie-nation galore. But a week later your gloss is gone, your hair looks dull and lifeless. Davins View, our new gloss to aid in shine and healthy to your hair. Does this sound familiar? It could be the drugstore products lurking in your bathroom. Now, as stylists we aren’t trying to pull one over on you, there is a reason we recommend our products. We are truly looking out for your hair and the money that you invest in the services we provide. We know that professional products are more expensive, and that with all the money you just put into your hair, you want to cut costs and reach for Brand X while at Store B. But what Brand X could be doing to your hair ruins the investment you just made. A lot of these products contain ingredients that can be damaging to your color, hair, and scalp. One of the most common ingredients in Brand X is dimethicone, a type of silicone. Silicones coat the hair and add shine, but this is an artificial shine that will continue to build up, causing the hair to be heavy, flat, and lack luster. A lot of these silicones are difficult to remove from hair, and they can even affect color services you receive in salon. Because of this build up, it can be difficult for color or lightener to penetrate the hair causing uneven or unwanted results. Other common ingredients are Ammonium Lauryl Sulfate (ALS) which can strip the natural oils causing dehydration (more dull results) also can strip that beautiful gloss you just had done. Sodium Lauryl Sulfate (SLS) is also a detergent that can irritate skin. 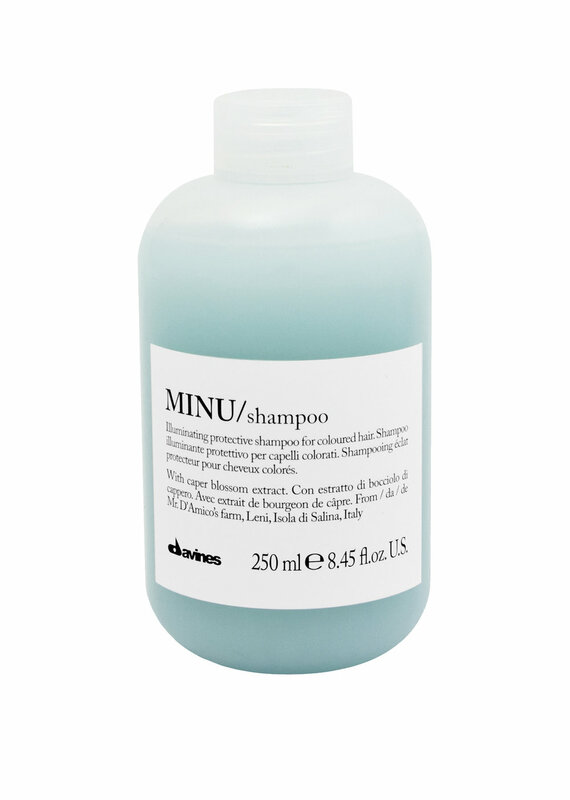 Our Minu shampooed was formulated to work exactly with the technology of our hair color. Preventing fading and dehydration. You may see “professional products” in select stores, but they may not be what they seem. A lot of stores are not allowed to carry certain brands. Because of this divergence, these products may be diluted or even expired (most products have a shelf life of a year) and you will not be getting the full potential. Purchasing and using professional products from a salon guarantees the item is at its best shelf life and guarantees the integrity of your hair. The next time you invest in your hair, think twice about reaching for Brand X, and remember the damage these products can cause will negate what you just spent, causing you to need your hair done sooner. Our products have a higher concentration of quality ingredients. Meaning, you do not need as much to get the job done. Not needing as much product will save you both money and the integrity of your hair. We really only what is best for your locks. We invest our time and passion into your hair and want you to get the most out of it. We would be more than happy to help you find the right combination to suit your hair needs!! Next time you are in ask your stylist what they think!